Just random shots of my hurr, y'all. I got an email from a reader who asked me if I could post pictures of what my hair looks like after I wash it. She said that hers is very hard and brittle. 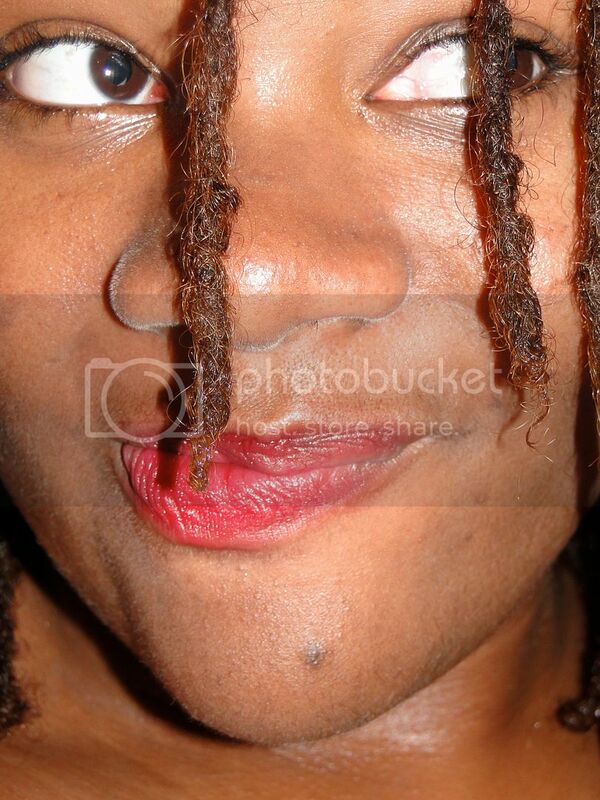 In essence, locs are hard. After all, they are strands of hair that are locked together. I don't think we can compare straight hair to how our locs feel. And of course, it depends on products you use on your hair. Since I've been head over heels in love with Peter Lamas' Wheatgrass Purifying Shampoo, I find that my locs feel so much softer than when I use castile soap. Not that I dislike castile soap. I will forever use it...but does it give my locs that softness that I desire? Not so much. I don't even feel like I need to use conditioner or hair oil after I wash. That's how moisturizing that shampoo is. I think the key is finding a shampoo that works; be it homemade or commercial. While I go back and forth between many shampoos, I like to use Peter Lamas' every few weeks. My hair always thanks me. The reader also asked if my new growth stays loc'd after a wash. Short answer? Nope! But that's because I maintain through palm rolling. I imagine my interlockin' and latchin' sisters don't have these issues. Not that it's an "issue". It is what it is. Most times after a wash, I don't palm roll, but sometimes I do. There aren't any rules. The hair in the back of my head always acts nutty though. 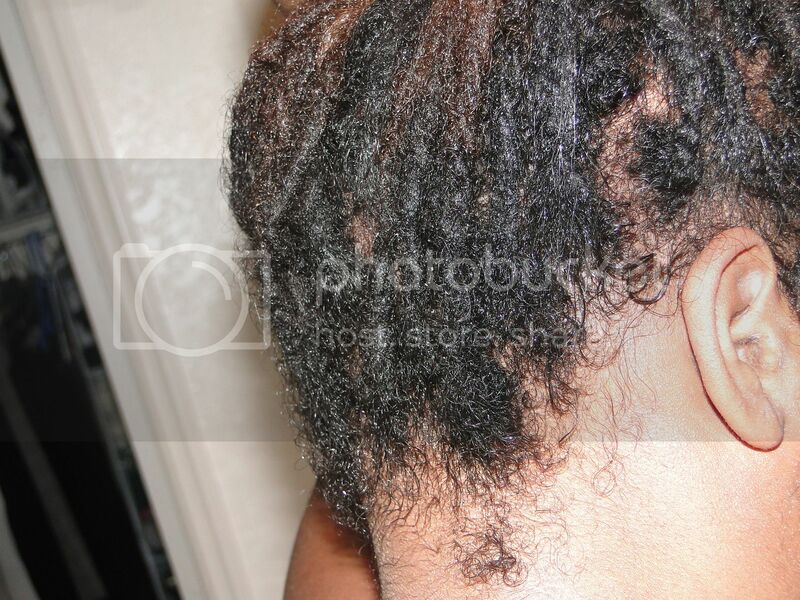 It's as if it forgets like it was supposed to be loc'ing and goes back to being a ton of loose natural hair. Some locs are good kids and stay loc'd. Like 4 of them. I love my locs post- wash. Even the dandruff has gone away. In fact, I find that the less oil I use, the less aggravated my scalp is. I can dig it. 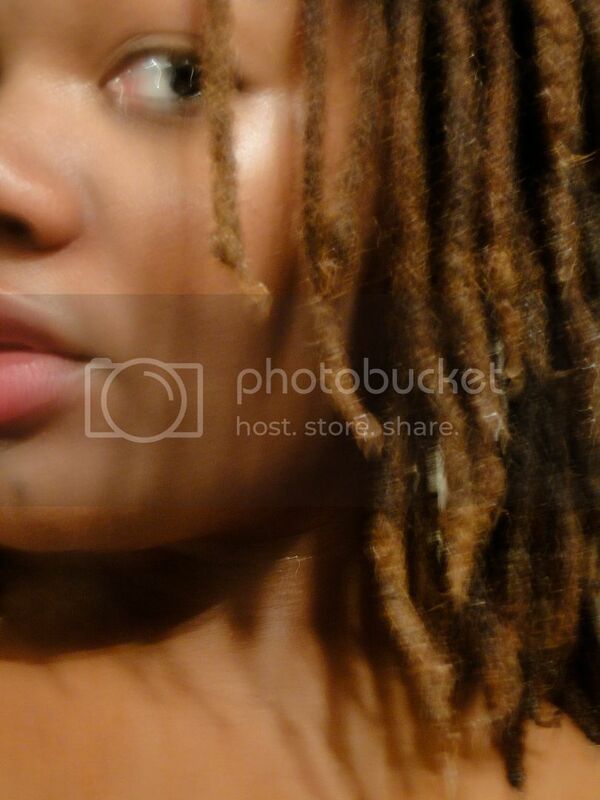 I think we can maintain the softness of our locs by making sure they stay BFFs with water. I spritz my hair daily with some. I'm not washing as much (maybe every 2 weeks....is that bad? LOL!) 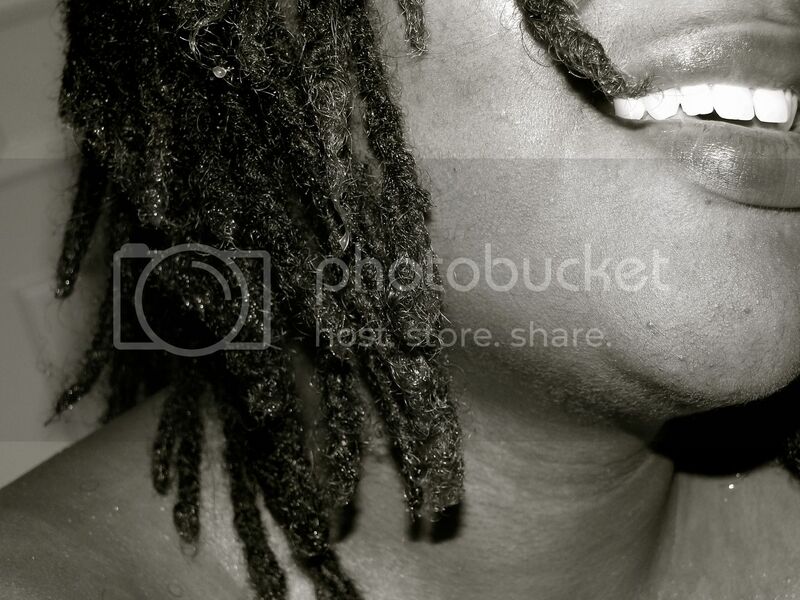 but my locs reunite with water daily. I agree with Ness. I was going to say that if you find the right oil, you really don't need to use it that often. I only wash and oil once a week and this works for me. 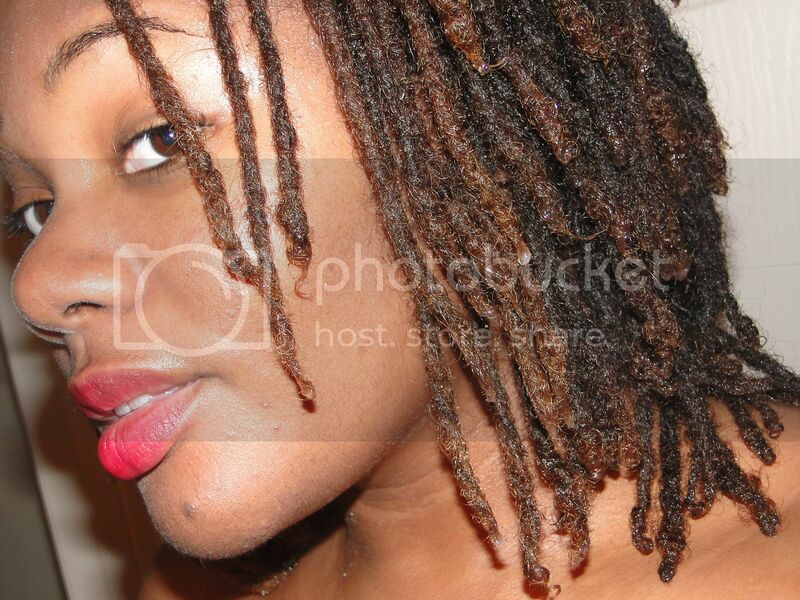 Your locs are gorgeous! I've had mine for a little under a year now, so I'm still experimenting trying to figure out what hair regimen works best for me. I was using Jane Carter Solution Twist & Loc but just ordered some loc butter from Carol's Daughter.The Jane Carter doesn't give much hold, and my hair is super fuzzy after a few days even after tying it at night. How long does it take you to retwist your hair after washing? 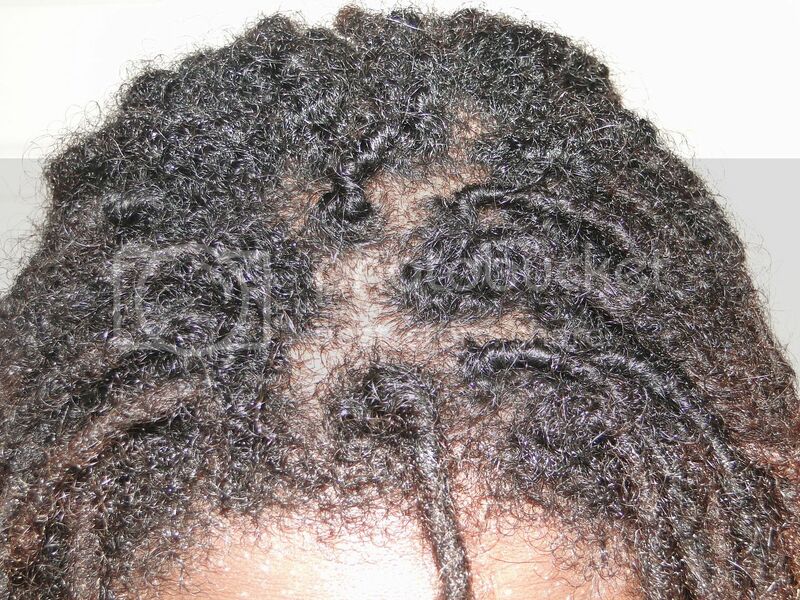 I think that if her locs are abnormally stiff/hard after washing her shampoo may be too drying and/or she has a little buildup issue going on. Water is a loc's best friend. I used to spritz with water and then rub in some oil everytime but lately I've just been sticking with the water. My scalps not as dry as it used to be, so I don't need the oil to seal in the moisture as much anymore. Ness---> Thanks lady!! Can you believe that our locs are almost 2 years old. OMG!! 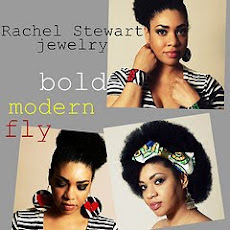 nappy headed black girl---> I know, right? Some of us come from this idea of constantly oiling the scalp but little do we know...our hair will really flourish without all of that manipulation. Narj---> Thanks sis! 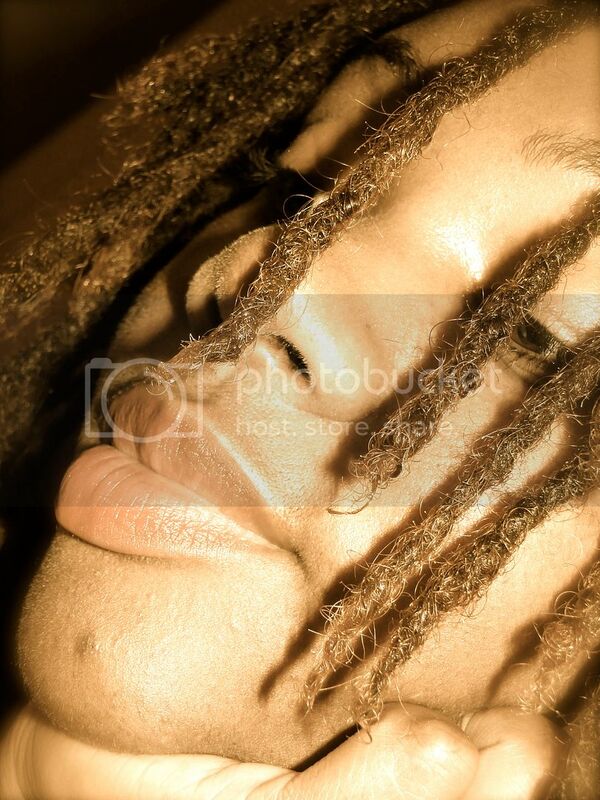 Combining was the best thing I ever did for my locs. 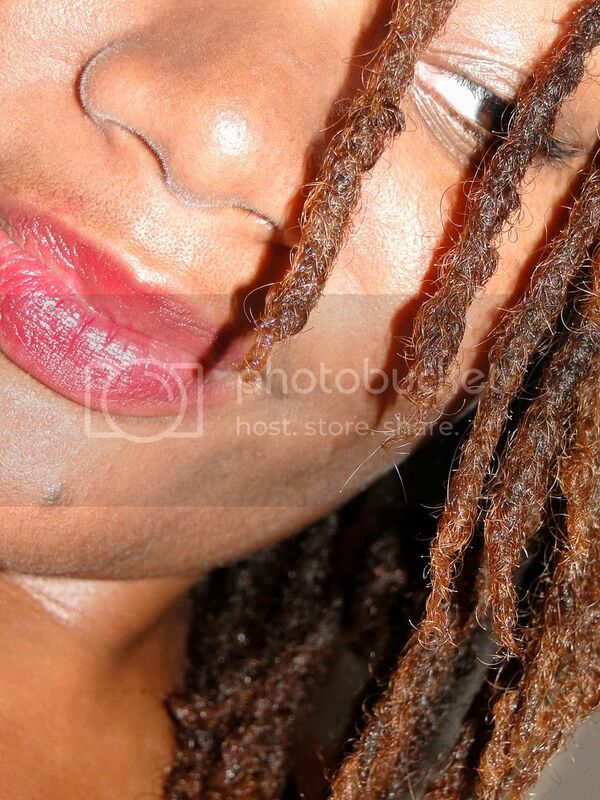 Thick locs rock! transego---> Girlfriend, I did a review on that loc butter from CD and it has beeswax in it. It smells divine but that beeswax is a lint attractor like none other so be careful. In fact, I find that butters don't work so well on my hair. Gel based products give a better old. Aloe vera gel is the simplest. I love that stuff! 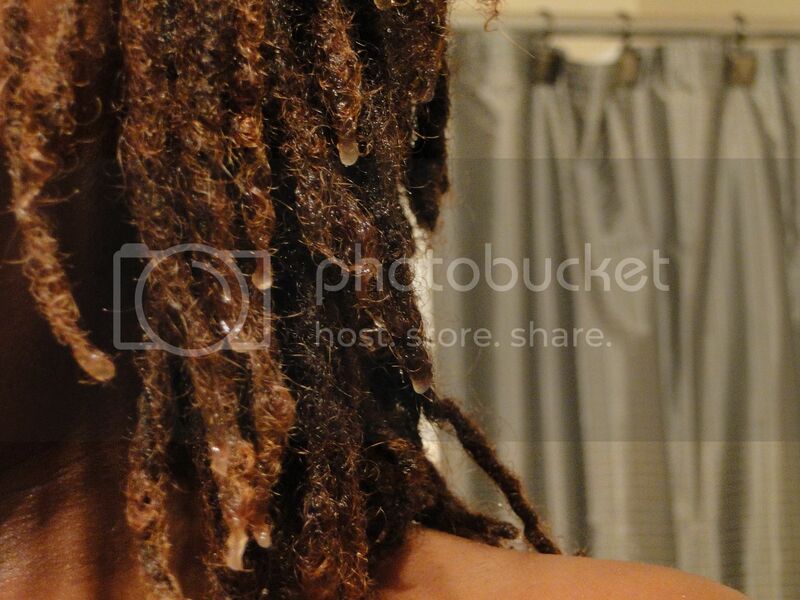 It takes a good hour to re-twist after washing. Before I combined it took 2.5 hours. Whew! B---> The summertime seems to be the best time for everyone's scalp. You'll always be my locspiration, B!! Thanks for the heads up! I only bought one jar of CD loc butter, which came yesterday, so we'll see how it goes. 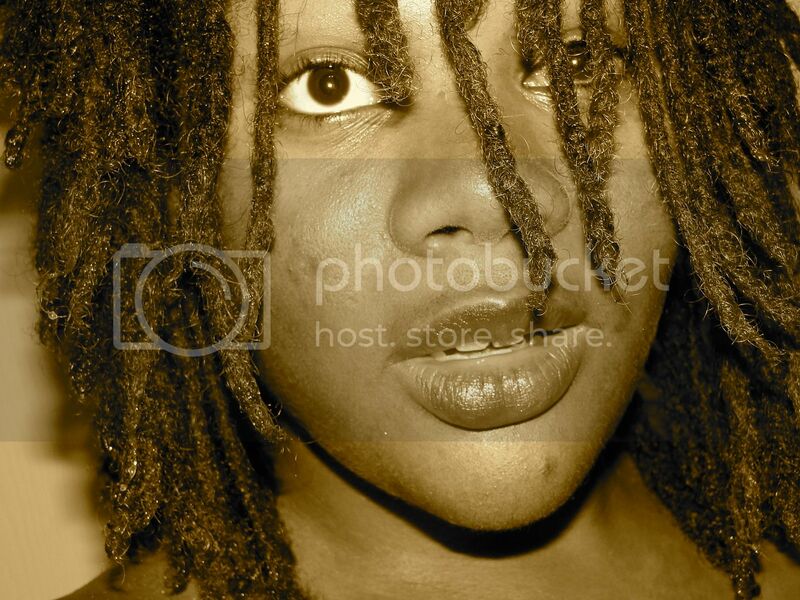 My hair was pretty uncooperative b4 I had locs, so I don't know why I suddenly expect it to cooperate now,lol. Aloe vera gel, huh? If CD doesn't work out, that may be my next move. Does any particular brand work better than another? Your locks are lovely! And you're right about locks being hard. I've been using a leave in conditioner diluted with water. My hair in the back grows out wild and I find that I need to latch and wrap the loose hairs AND palm roll to make it neat. I started my locks by palm rolling though. I'm loving your hair! Peace and Sound---> Thank you, darling! 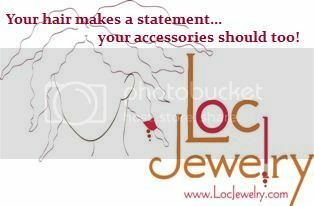 I am so glad that you posted that picture that shows how the hair in the back does not want to stay twisted and in the lock! I have that same issue. But you know what, I have gotten to the point where I am letting it do its own thing! 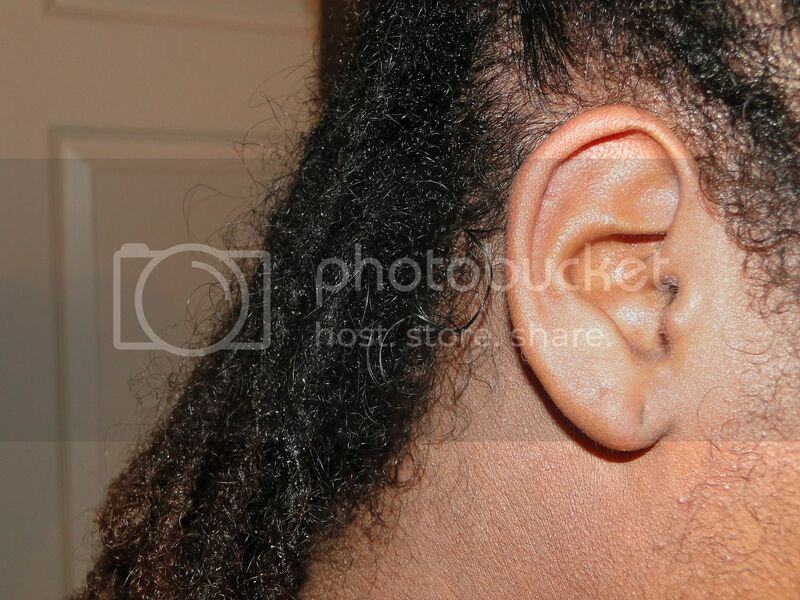 I shampoo, separate, and retwist. As long as the crown to the forehead is neat I'm good. I eliminated the hair clips and the dryer. I may go back to those during the colder months.